← A drop in the bucket…. This post comes with a warning…. I am going to make you think… and then I am going to make you take up a personal challenge. So be prepared…. this one requires that you go beyond reading…. and move into DOING! Are you up for the challenge? I think you are….. as a matter of fact… I KNOW you are! Have you ever sat and thought…. “I am just one person… what can I possibly do to change the world?” I know I have…. There are times here in Guatemala that I think it every day…. every single day. 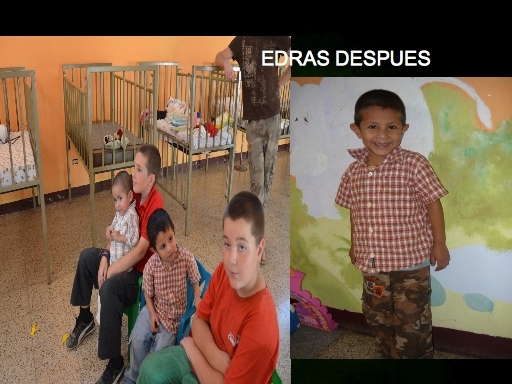 I look into the hope filled eyes of the children at the Hospital Infantil and then everything changes…. I can do lots…. I am doing lots…. and so can you!! Hope Lives Apparel is doing lots. They are selling t-shirts that feed children! Yup, buy a t-shirt and feed a hungry child 21 meals! 3 solid nutritious meals for an entire week! It may not sound like much in the grand scheme…. but combined with employment & education incentives that we have for the families of these precious children…. the sky is the limit!!! What a fantastic company making a difference!! Before I go on, its come to my attention that some people are confused as to what our hospital does…. and what malnutrition is…. well let me show you…. then let me tell you…. This is what the Hospital Infantil Padre Pedro does…. Incredible isn’t it? These are not just kids on a screen… these are real, living children that I personally have watched grow… I have held them as they cried…. I have seen this incredible transformation with my own eyes! 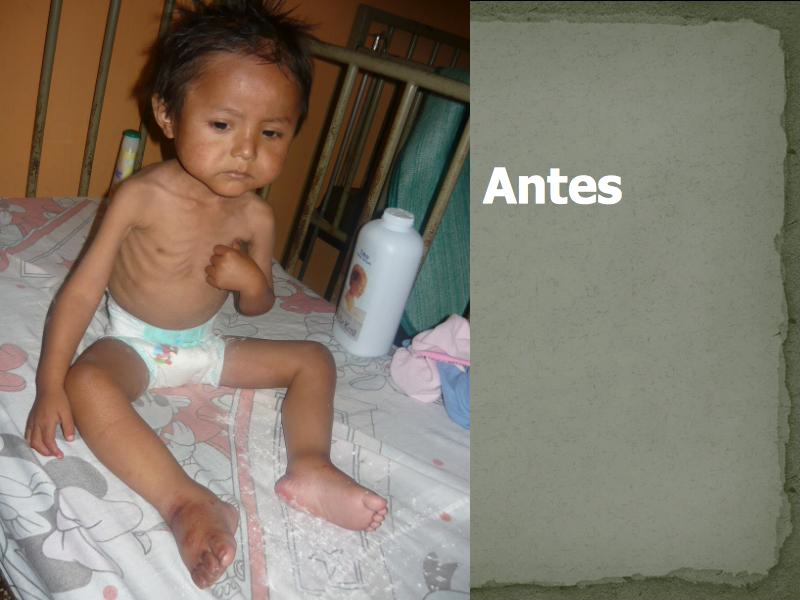 The primary forms of malnutrition that Guatemala is plagued with are Kwashiorkor – Marasmic malnutrition. Very severe but totally preventable afflictions. Kwashiorkor malnutrition is a form of malnutrition that occurs when there is not enough protein in the diet. It is most common in areas where there is: famine, limited food supply and low levels of education where people do not understand the importance of eating a proper diet. This disease is common in very poor countries. Marasmic malnutrition is a form of malnutrition that occurs when there is both not enough protein and not enough calories. It leads to severe tissue and muscle wasting. Child looks emaciated and body weight may be reduced to less than 80% of the average weight that corresponds to height. It simply occurs because people do not have enough food to eat. Symptoms: changes in skin pigment, decreased muscle mass, diarrhea, failure to thrive, fatigue, hair changes (colour & texture), increased and more severe infections due to damaged immune system, irritability, psychomotor retardation, large protruding belly, lethargy or apathy, rash (dermatitis), shock (late stage), swelling (edema), enlarged liver. Treatment: Getting more calories and protein will correct kwashiorkor – marasmus, if treatment is started early enough. However, children who have had this condition will never reach their full potential for height, growth and development. Treatment depends on the severity of the condition. People who are in shock need immediate treatment to restore blood volume and maintain blood pressure. Calories are given first in the form of carbohydrates, simple sugars, and fats. Proteins are started after other sources of calories have already provided energy. Vitamin and mineral supplements are essential. Since the person will have been without much food for a long period of time, eating can cause problems, especially if the calories are too high at first. Food must be reintroduced slowly. Carbohydrates are given first to supply energy, followed by protein foods. Prognosis: Getting treatment early generally leads to good results. Treating kwashiorkor in its late stages will improve the child’s general health. However, the child may be left with permanent physical and mental problems. If treatment is not given or comes too late, this condition is life-threatening.Complications: coma, permanent mental and physical disability, death. So there you have it. This is why children enter the hospital here and stay for up to a year… This is what we are up against every day here in Guatemala! Does it seem like something that is untreatable? How can this be when we live in a country that has to have food recycling programs because of an over abundance of food? I know personally when I am in Canada, I throw away, in any given week, more left overs from my fridge than the average child here eats in a month, or 2 months… or 3… Honestly its mind boggling that something like malnutrition still exists in a world where there truly is plenty…..
Just in case you have been over-burdened by reading….. let me show you Sandra again….. 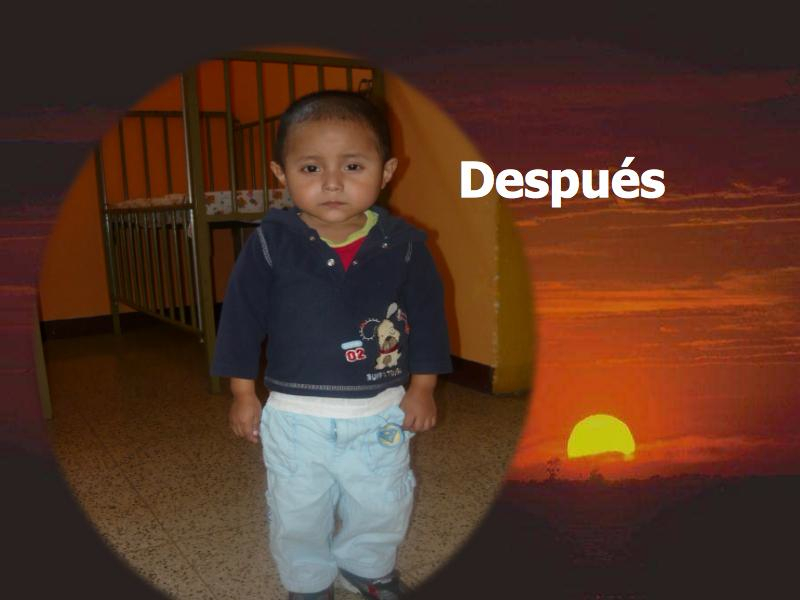 This is the incredible, life saving work the Hospital Infantil Padre Pedro does…. but it cannot do it without your help…. So…. go to www.hopelivesapparel.com and but a shirt and DO SOME GOOD! I am not stopping there! I have a challenge for you…. It’s February…. the shortest, yet longest month of the year…. the time when the children begin to arrive at the hospital…. the month where the harvest begins to run low up in the mountains…. the month that signifies that the hospital will be over-burdened and under funded…. the month where the entire cycle begins again… the scary month…. so….. here’s where you can help. I am going to ask you to give up something this February…. a week’s worth of coffee in a coffee shop? A dinner out? A meal? A new outfit? …. anything…. pick something and give it up. Give it up and donate $20.00 (or more if you are able). Sitting here one day brainstorming, Geoff, myself, Zack, Luke and Gabe all thought… together we have over 1000 friends on facebook alone! If every one of them gave $20.00 then WOW!!! So lets begin this challenge together! Lets each and every one of us put our own drop in the bucket and fill that baby up! What is $20.00 to us in North America? Not much…. I have that much in loose change lying around the house back home in Canada…. 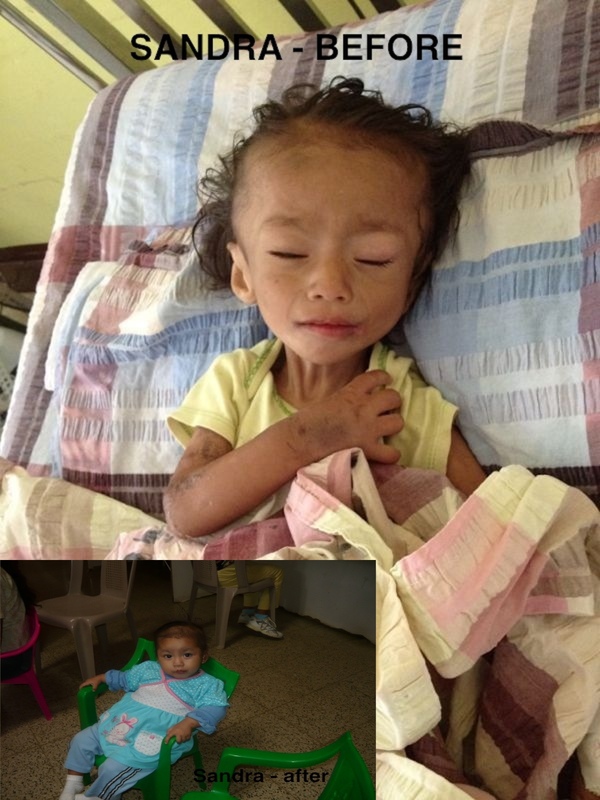 but here it means so much… nutritious food and medicines for a dying child…. so lets take up this challenge together and lets make some changes in the world! Give up that meal… give up that coffee… gather up that loose change and together we CAN make a difference! There is strength in numbers…. and the challenge is ON! Go and make your tax deductible donation now at http://www.ctenc.ca/ritadoppenberg/ . Don’t wait… do it now! If every one of you reading this donates $20.00 that truly would be a miracle… a miracle for a real, live child here… a miracle that will save a life! Why not drop us a line at rita@thedoppenbergs.com afterward and let us know what you are giving up and we will compile a list in a later post. Mother Teresa once said: “If you can’t feed a hundred people, then feed just one”…. You CAN feed one…. and your $20.00 will do just that! Go now, don’t wait until later… life gets in the way later… and this is important. Face the challenge head on now…. visit www.ctenc.ca/ritadoppenberg/ and BE the change! Posted on February 2, 2013, in Guatemala Missionary, Uncategorized and tagged celebrate life, friends, grief, Guatemala, Hope, Malnutrition, mission, Missionary, Volunteers, World Impact, Youth. Bookmark the permalink. Leave a comment.